Uhh co-working spaces, the beloved innovation that allows us to work in relative peace and quiet. A space used by business owners, entrepreneurs and thousands of university students world-wide. 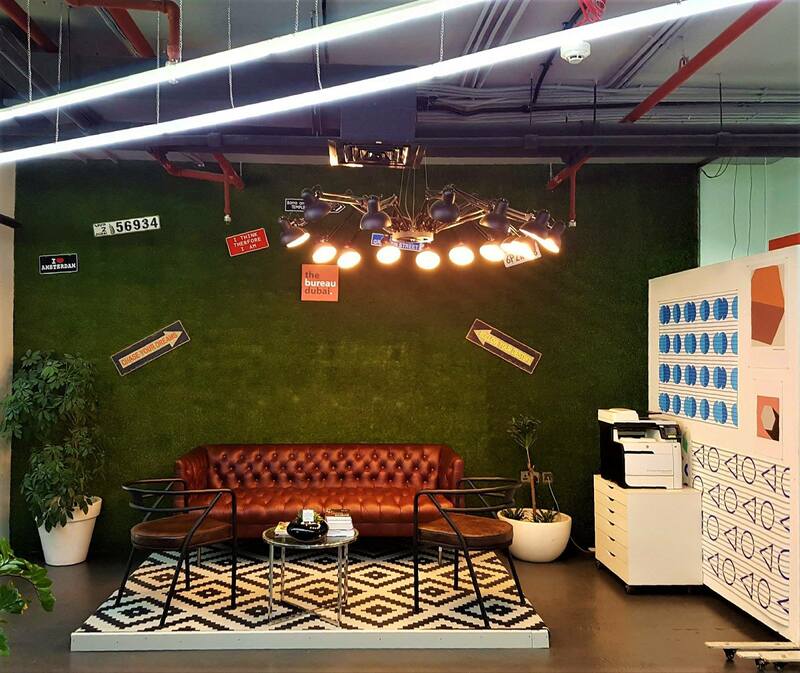 To help you tap into your inner genius, we’ve shortlisted six of the best co-working spaces in Dubai. Enjoy, and do remember that other people are trying to work too – lady in the bright orange jumper, yeah, you, the one Skyping your mate, pipe down. Your laptop is all you need at The Cribb. The membership (AED800 per month or AED70 per day) allows you to work, network and enjoy benefits such as hot desks, meeting room credit and free tea and coffee. 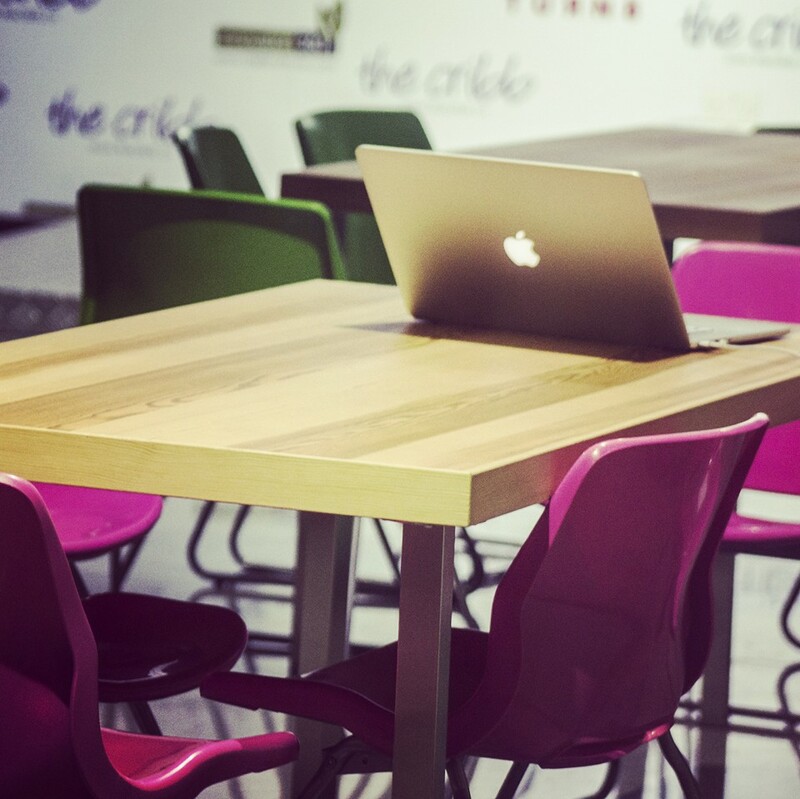 Features of this co-working space in Al Quoz 1 include communal tables (as well as dedicated team desks), a big conference room, smaller meeting rooms and a private room (equipped with couches and bean bags) for casual meet-ups and small events. Along with a co-working space, this Downtown space also offers workshops, events, networking opportunities and innovation labs. Open to entrepreneurs, techies, corporate professionals and students, it’s definitely a place where you will meet like-minded individuals and occasionally get some work done. The views of the city are a nice added bonus. Price: AED99 for daily pass and from AED499 per month; inclusive of five day access (Sunday to Thursday), plus one guest pass and access to the small meeting room. 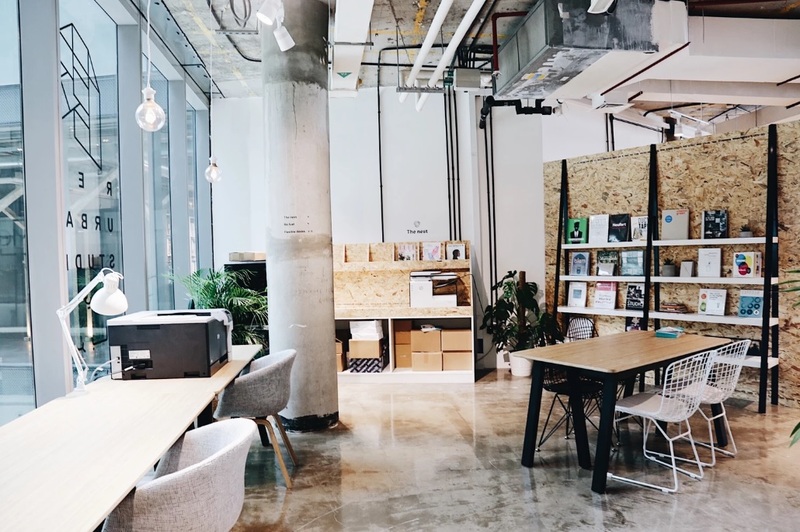 In addition to co-working spaces, The Bureau provides a number of services such as licensing businesses, introducing businesses to local partners and furnished office spaces for rent. If this sounds like your jam, head down to Souk Al Bahar. 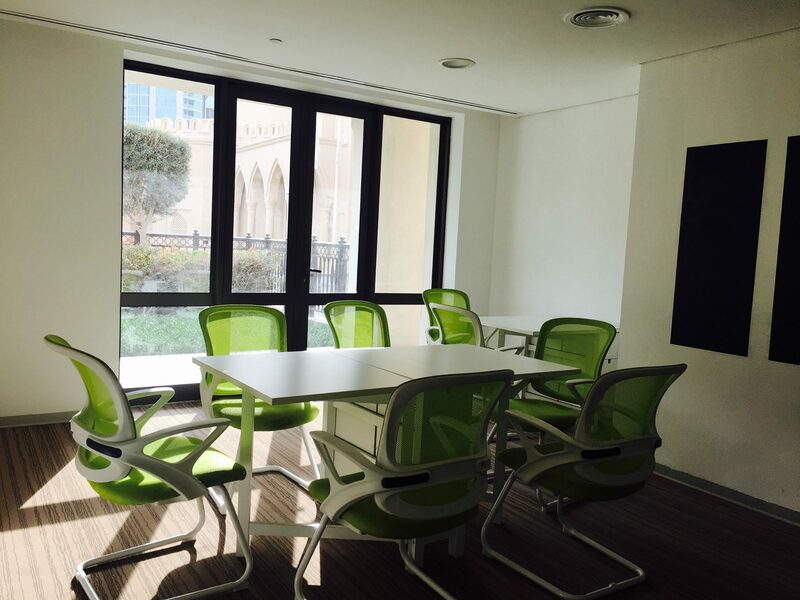 Price: From AED1,000 per month; inclusive of access to workshops and events, meeting room usage and monthly mentoring. 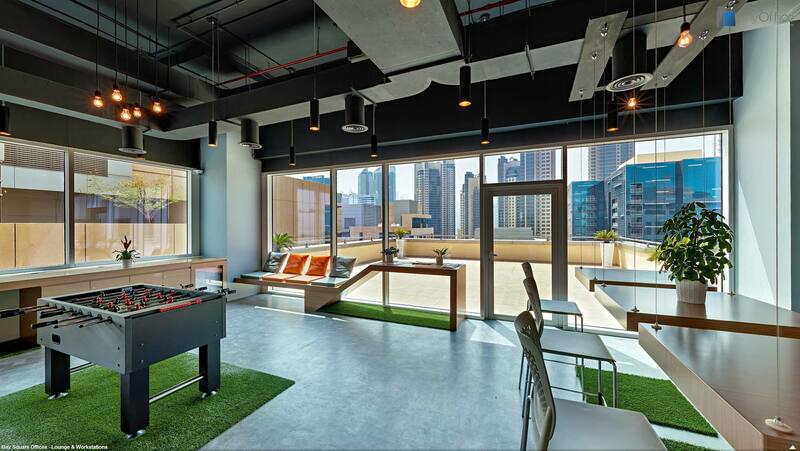 This urban co-working space in Barsha Heights’ Tryp by Wyndham hotel is the newest kid on the block. 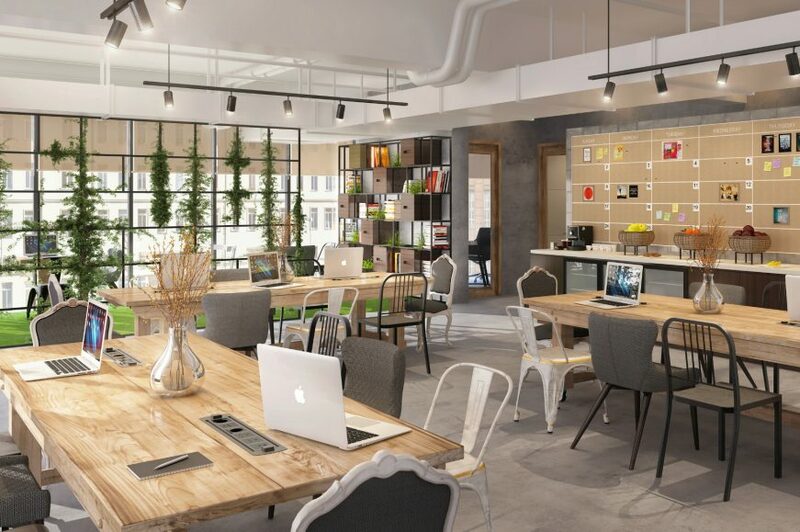 It caters to the needs of the modern worker – think eclectic workspaces, unlimited coffee (because caffeine always helps), business centre services as well as networking opportunities. Members also receive dining discounts, free valet parking as well as pool and gym access. This one we like, a lot. Price: AED99 daily; inclusive of gym and pool access; 20 discount on food and access to the meeting room. Monthly pass from AED899; inclusive of pool and gym access, parking and 20 discount on food. Your search for a smart workspace solution ends at this state-of-the-art Dubai Marina centre. Cool interiors, scenic views and interaction with like-minded folk are just a few of the things that you can expect to find here. If Dubai Marina is too far for you, check out their space in Downtown Dubai and or Business Bay. Price: From AED150 for day pass, AED600 for weekly pass and AEDD 2,800 for monthly pass at the Dubai Marina branch. This contemporary space in D3 is fully-equipped with workstations, meeting rooms and design services to cater to creative needs. If you have a passion for creativity (animations, art, architecture, design or writing), you’re welcome here. Price: AED55 for daily pass; inclusive of wifi access, printing and scanning and access to the onsite library. AED310 for weekly pass and AED1,200 for monthy pass.